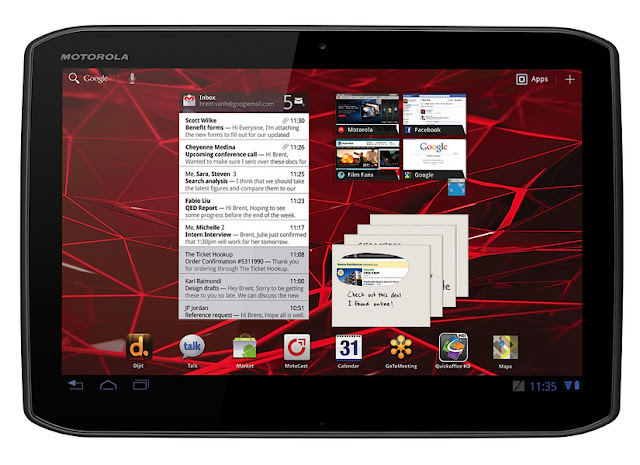 Motorola Xoom 2 is the direct successor of the previous Xoom, which resemble 1280x800px resolution 10.1-inch screen with Corning Gorilla Glass for extra protection. 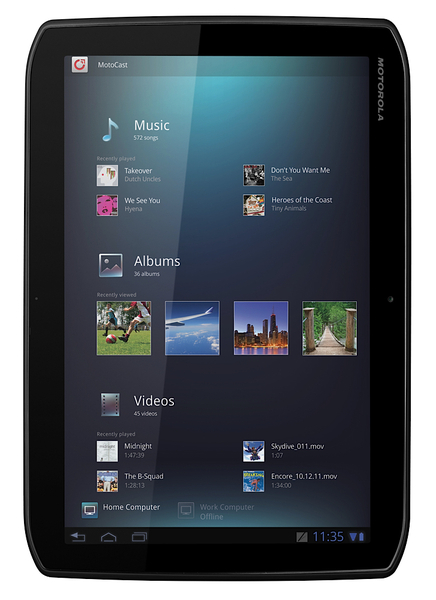 Android tablet is powered by the latest dual-core 1.2GHz processor, and comes with 1GB of RAM and 16GB of memory built-in storage capacity. Android version used was 3.2 Honeycomb. Motorola has really tried hard to improve Xoom 2 and as a result it weighs 131 grams less than Xoom thinner 4mm long and is only 8.8mm. Xoom is also equipped with a special coating to prevent incidental sparks that could damage the device. The tablet is also equipped by a stylus too. But unfortunately Motorola still using the same 5MP camera from the original Xoom, even Xoom 2 only has a single LED flash, instead of two. Front camera, also derived from 2MP to 1.3MP. However, endurance battery offers 10 hours of use for browsing the Web and more for 1 month of standby time.